My garden produced so many hot peppers this year I had to think of new ways to use them all! 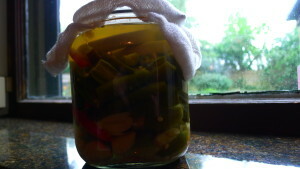 In addition to making several batches of pepper jam, I decided to give this recipe a try. I fermented the peppers and garlic for 7 days before straining and pureeing. The flavor of the sauce is nice, however next time I will save some of the puree I strained out to thicken the sauce a bit more. 2) In a large bowl, dissolve salt in water. 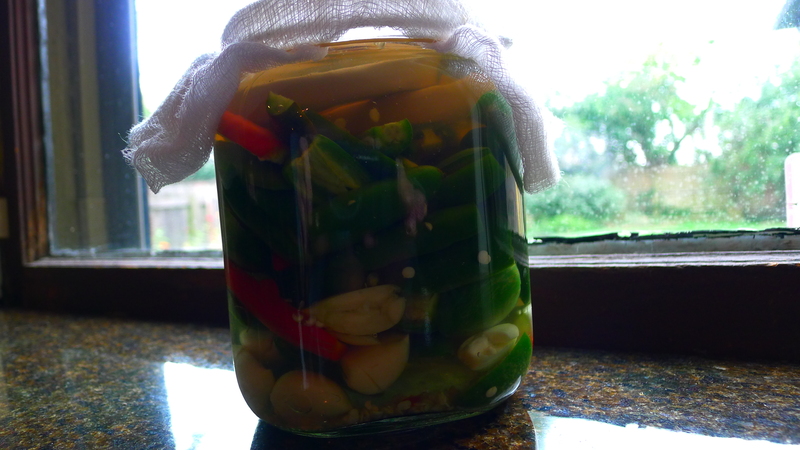 Pour just enough brine into jar to cover peppers and garlic. 3) Place fermentation weights over top of mixture to weigh it down. 5) Once fermentation is complete, drain peppers and garlic, reserving brine. 6) In a food processor, puree peppers and garlic until a smooth paste forms. 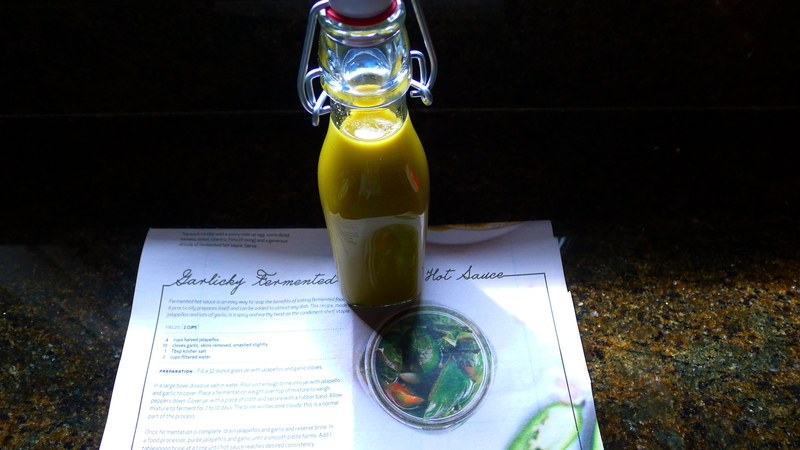 Add 1 tablespoon of brine at a time until hot sauce reaches desired consistency. 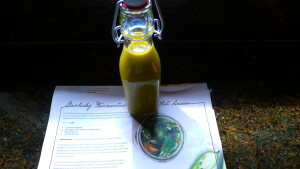 7) Run puree through a fine mesh strainer and store in a 12 ounce glass jar or bottle in refrigerator.